Would you listen to Untold Adventures again? Why? FYI there is much better detailed review of the text version on Amazon enumerating each story. The narrator did a really good job but I really only liked a couple of the stories. Some had too much of the story as flashbacks or else too many different people and places, jumping around so that I had a hard time following what the story was and who was doing what (or who was even who). Some just didn't seem like an interesting story. The stories themselves were interesting asides, the only two critiques were the narrator sounding bored and no relatable main characters. It's hard to get into a story with nothing to draw you in, there should have been something to tangentially link stories if there aren't any strong/interesting protagonists. Since it is D&D, Elminster makes an appearance but even his characterization is phoned in. I didn't dislike it, so there's that. 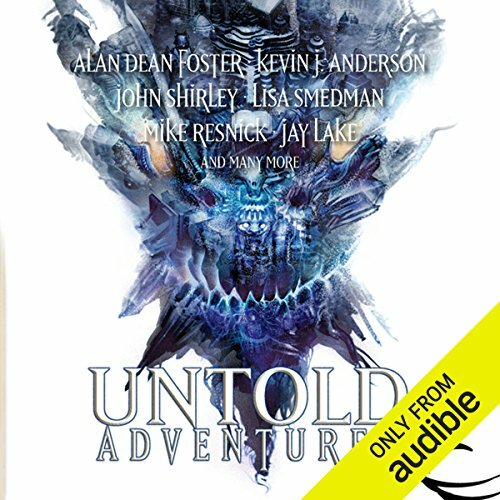 Would you consider the audio edition of Untold Adventures to be better than the print version? This was exactly what I wanted. There were a few short stories that have really stuck with me. I will be getting another anthology and hoping it will be as great! Yes I found it better than print, but I have bad eyes. What about Michael McConnahie’s performance did you like? Loved it, wide range of characters and deep rich tones.